Whether you want to deepen your walk with God along familiar paths, or try something new, you should find something to suit at the Festival of Prayer Day. There will be prayer through dance, talking, singing, walking and silence at the day-long event that offers the chance to explore a wide range of different spiritual perspectives and approaches from across the Christian spectrum. 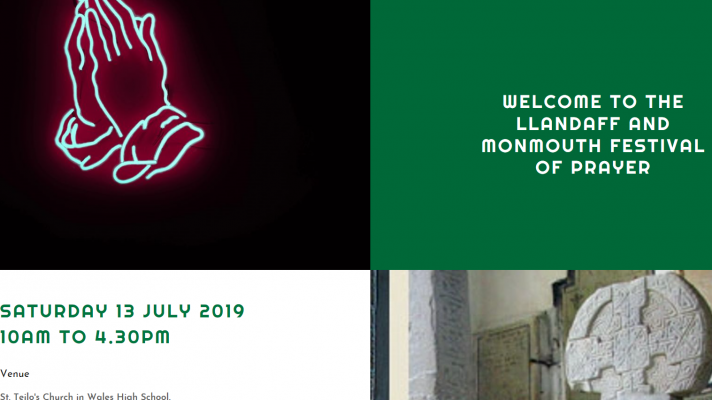 Launched three years ago by the Llandaff Diocese, the Festival has enjoyed such success that it is being run as a joint event with our neighbouring Monmouth Diocese. It will be held at St Teilo’s Church in Wales School, Cardiff, on Saturday, July 13, from 10am to 4.30pm, and includes three choice workshops of the day. There are a total of 20 workshops to choose from, each standing alone and lasting an hour, with most offering a time of prayer. 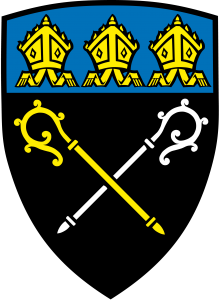 Whilst local speakers such as the Revd Peter Lewis of St Catherine’s Church, Pontypridd will talk about ‘Spirituality in Church Outreach and Mission’ and Dean of Newport, Lister Tonge, who will speak of ‘Praying with Ignatius of Loyola’. There will be the opportunity to learn about spirituality and prayer in the Islamic traditions with other topics ranging from ‘The Gospel According to Hollywood’ to ‘The Worship of Taize’. “Circle Dancing was a most enjoyable session. Being able to use my body in prayer was new to me”. This was posted on 11 April 2019.